Free Cavity Wall Insulation & Loft Insulation Grants Scotland. Do you qualify? Get Government grants for free cavity wall insulation in Coatbridge through the Government ECO scheme. Loft insulation & cavity wall insulation are free in the Coatbridge area if you qualify through the Energy Company Obligation. ECO is designed to tackle carbon emissions and fuel poverty by improving the energy efficiency of residential properties throughout Scotland. Installing cavity wall insulation is like putting a coat on your house. The insulation keeps the heat in, meaning that you can have your central heating on for less time, or turn in down to a lower level. This costs you less in gas / fuel bills and reduces harmful emissions which are released into the environment. Cavity wall insulation also keeps your home cooler in the summer. The cavity wall insulation that is installed through the wall insulation grant scheme a man made fibre similar to loft insulation, but finely chopped so as to fit in between your walls. It is moisture proof and cannot pass dampness from your exterior wall to the interior wall via the cavity. Cavity Wall Insulation stops heat escaping out through the walls of your home. Around 35% of heat in the average home in Scotland and the UK is lost through the outer walls of the house. Under the current Government Insulation Grants Scheme, hundreds of thousands of Scottish and UK homeowners, landlords and private tenants qualify for a grant for cavity wall insulation. If your home was built after 1920, it probably has walls with a gap or cavity between them. Wall insulation fills that gap, keeping the warmth in to save energy. It can also help reduce condensation inside the house if this is a problem on your external walls. These are estimated figures based on insulating a gas-heated home. The average installed cost is unsubsidised. Figures are based on fuel prices as of April 2017. If you think you already have Cavity Wall Insulation it is recommended that you ask an authorised Insulation Surveyor to check. It is a simple process. Fill in the Insulation Enquiry Form for more information. How do I get Free Wall Insulation? Getting a free insulation in Coatbridge is a straightforward process. You can arrange an appointment with an authorised Energy Grants Surveyor by entering your details in the Insulation Grant Enquiry Form opposite. A certified and approved insulation surveyor will then contact you to arrange a cavity wall survey. This involves drilling a small hole in your external wall and looking inside with a boroscope to see if your walls have a cavity and if they already have insulation. The surveyor will then fill out a grant application and the cavity wall insulation company will then come and fill your walls. If your house was built between the 1920’s and the 1990’s it is likely that your exterior walls have a double skin of bricks with have a cavity, or gap, between them. Houses built before this period were built with solid stone. Any residential properties built lkater than ths are likely to have insulation already installed. If your home was constructed using solid walls, or has a timber frame, it is not suitable for cavity wall insulation. What material is used to insulate walls? There are three main types of materials used to insulate walls. Polystyrene beads, mineral wool fibre and foam insulant. Although all three are manufactured to British building standards foam is rarely used now to insulate residential properties. How can I tell if my walls have a cavity? You can tell the type of walls you have either by measuring the thickness of the wall near the door. If it is 260mm or more then you probably have a cavity. Another waqy is to look at the pattern of the bricks on your walls. The diagram below shows how cavity walls have a regular brick pattern so as to leave a gap in between the brick leafs. Solid walls have an alternative pattern as no space is required in between the bricks. If you are unsure whether your home is suitable for wall insulation let us know and we can arrange a free no obligation survey with an approved energy assessor. The assessor will drill a small hole in one of your elevations. By using specialised camera equipment called a borescope the surveyor will check to see if you already have insulation in your walls and advise if you are eligible for a Government insulation grant. Loft insulation is essential. Heat rises in your home and escapes quickly through your loft or attic and out the roof.. This costs us all a fortune as we try to keep our houses warm. Loft insulation make it increasingly difficult for heat to pass through the roof, trapping the escaping heat and effectively “keeping it in”. 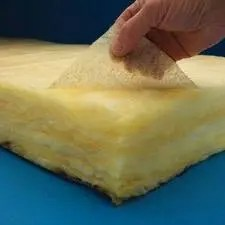 The insulation is placed between and across the joists in your loft, and gives you a protective, sealed area in the home, which stays warm for longer. meaning it costs less to heat your home as your central heating or fire can be on for less time. In most cases the insulation installation process takes less than two hours to complete, depending on the amount of loft insulation needed. Loft insulation is guaranteed for 40 years. Increases your home’s energy performance rating, making it cheaper to run. Insulating your loft is a simple and effective way to stop that waste and reduce the amount you spend on heating your home. Loft insulation is effective for at least 40 years, and it will save you around £175 a year on heating costs These figures are estimated figures based on insulating a gas-heated, semi-detached home with three bedrooms. If you heat your home with an alternative fuel type or live in a larger detached house, your annual savings will increase. Effective home insulation is one of the most simple and effective ways to save energy and money. Loft insulation and cavity wall insulation grants are available as part of the UK Government backed initiative to reduce harmful emissions being released into the environment. A qualified and government approved insulation grants surveyor will come and give your home a quick check to ensure it’s suitable, and fill in the grant application form. You your free insulation will be installed a short time later, simple. What if I already have Loft Insulation? If you already have loft insulation it is best that you check and see if you have the recommended levels for heat loss prevention. You should have 270mm (11 inches) in your attic. If you have any less than this your loft is not insulated correctly. How do I get Free Insulation? Getting an insulation grant in Coatbridge is a straightforward process. You can arrange an appointment with an authorised Energy Grants Surveyor by entering your details in the Insulation grant form opposite. An insulation surveyor will then contact you to arrange a loft insulation or cavity wall insulation survey. He will check to see if your you have the recommended level of insulation. The surveyor will then fill in a form with you and arrange an installation date for your free insulation to be fitted.